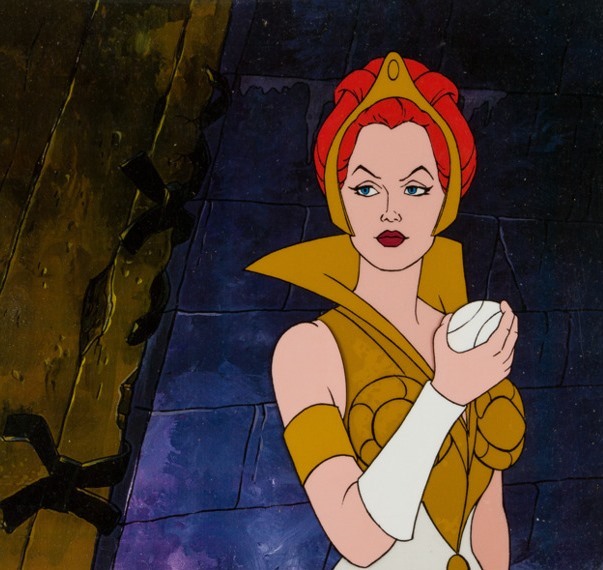 She's Fantastic: MOTUC Filmation Style - TEELA! MOTUC Filmation Style - TEELA! Thank goodness for Super7. When Scott left Mattel and MOTUC screeched to a halt I was really sad about the future of my hobby. For eight glorious years Matty was a consistent source of pure joy for me. It was easy to get caught up in collector drama with QC complaints, website malfunctions, and unobtainable exclusives, but in the end I have never been more thrilled with the consistency and breadth of any single toy line. So when Super7 grabbed the baton and announced they would continue the line, I was extremely happy. Plus the first two females announced were some of the most requested figures: a classic animated-style Teela and Hawke with an alternate Delora head. I expected there to be hiccups in the first batch of figures since new factories and new production processes would be introduced (and there are indeed some issues to be found), but overall I am really happy with this Filmation-style Teela figure. Let's check her out in detail below! Many people have a problem with Teela's hips. When the first production samples were shown, the hips were attached to the center crotch piece with pegs that were too long. This created a visible gap between her legs and torso and made her hips look disproportionately wide. This problem was corrected, and my figure in these photos is indicative of the new version. However, many figures were produced with the long pegs and the gap still present. 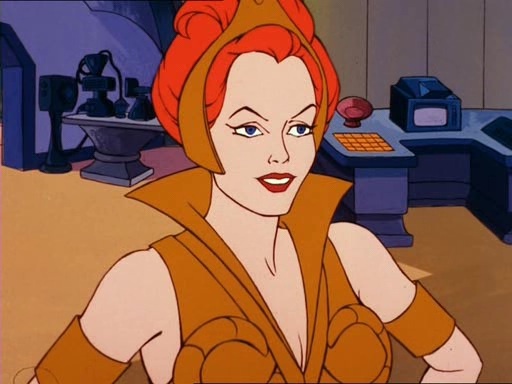 In fact, I have a second Teela that has one long peg and one short one. It's a significant problem, and I know I'm lucky to have gotten a good one. I would like to warn you against trying to remove her head. My Hawke heads popped off super easy, but they were meant to be removed and swapped. I bought two Teelas and in order to assemble my perfect figure, I attempted to swap heads. And in the process I broke BOTH neck pegs. They didn't snap or turn white from plastic fatigue and break... but rather they just easily stretched apart and detached from the piece in the torso. (And, yes, I heated her up plenty... I'm well versed in hot water and heat guns). I believe almost all the issues in these first offerings from Super7 are due to the connecting pegs. Some are too long (hip pegs), some are too short (Hawke's neck), and they all seem to be made of a weaker plastic than collectors are used to. Be careful. Teela comes with her sword and shield. Here she is with Mattel's Filmation Evil-Lyn from 2016 (I repainted Lyn's Right Eye). 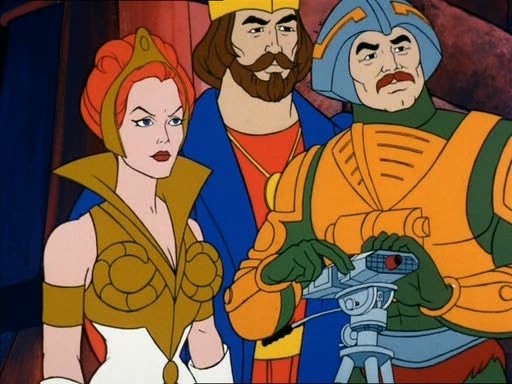 There seem to be a lot of complaints about Teela's height as well as her hips. But the precedent was set for the Filmation females to be shorter back with Evil Lyn. Although I would prefer for them all to be the same height as the MOTUC figures, if they have to be different I'm at least glad they're consistent. Here she is with my two other MOTUC Teelas: The Point Dread Teela from 2015 (With a hastily-resculpted chin) and the original Classics version from 2009..